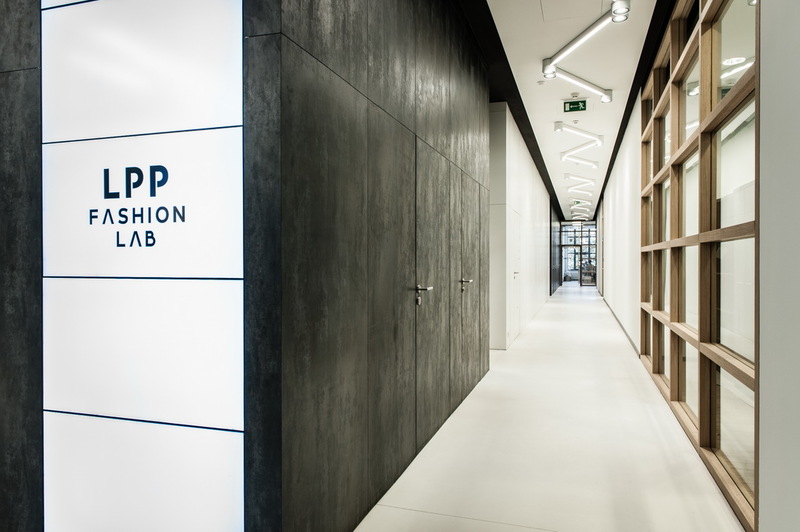 LPP SA headquaters, the owner of brands Reserved, Cropp, HOUSE, MOHITO and SINSAY, is located by the Łąkowa Street in Gdansk. 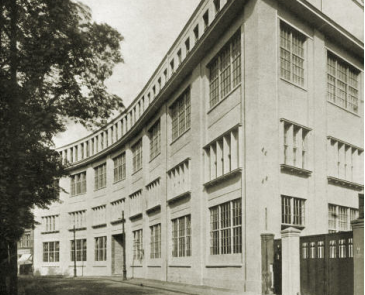 In the 20s of the previous century the building was owned by The Danziger Tobacco Monopoly. 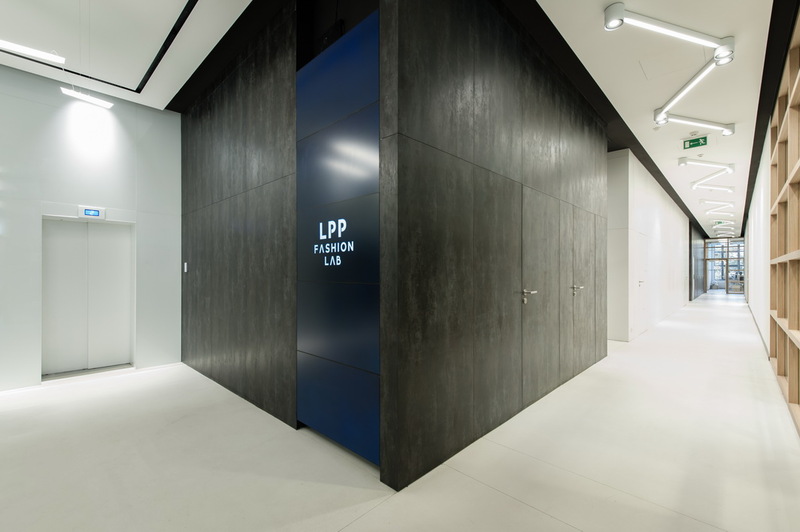 The office building is the headquarters of the LPP company and it’s the place where major brands clothing designs arise. The building is the heart and mind of the company. 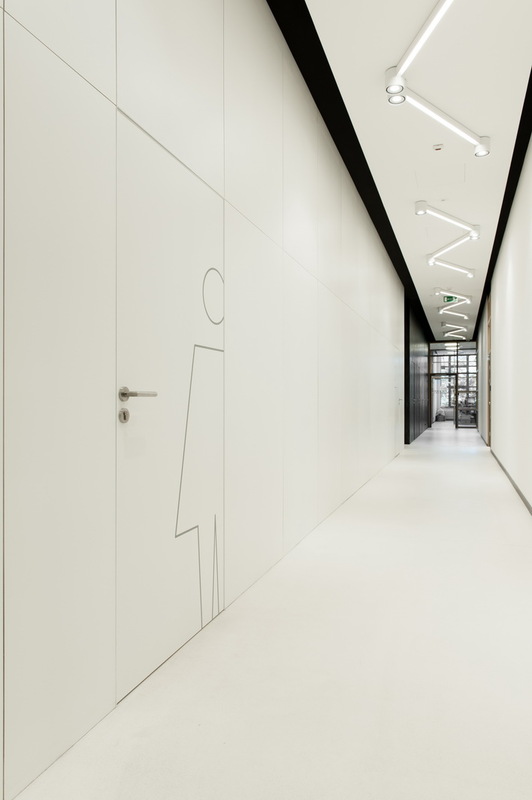 Its major refurbishment is just about to be finished and we were honored to contribute its unique climate, especially for the needs of creating a brand new solution – SUPERIOR frame. Especially for this projet we have developed a new version of Discrete frame. 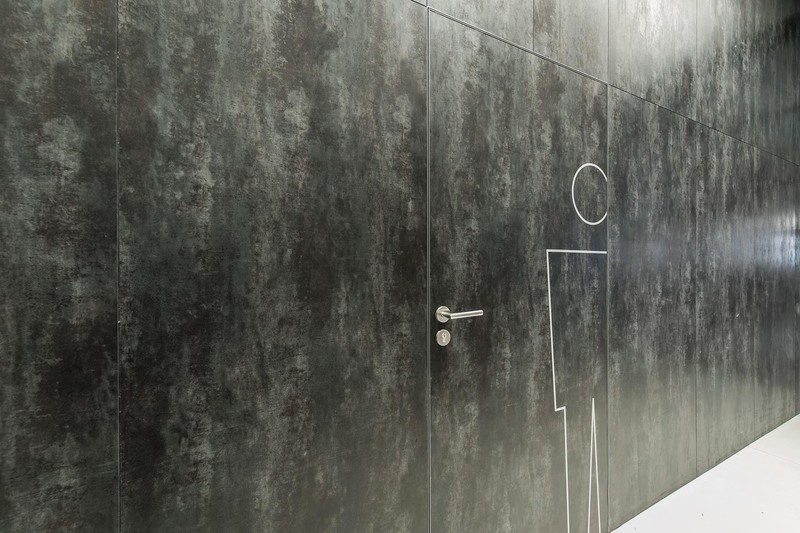 Its design provides a special place for laying an additional finish material, into the adjacent wall. Finally the door fits with any 4mm thick wall covering. 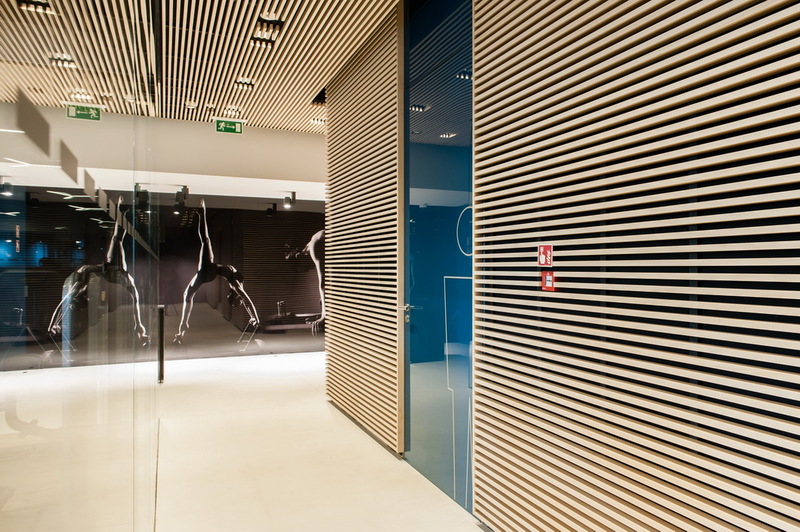 The project uses ceramic plates and glass. They may also be replaced by other material with a maximum thickness of 4 mm. 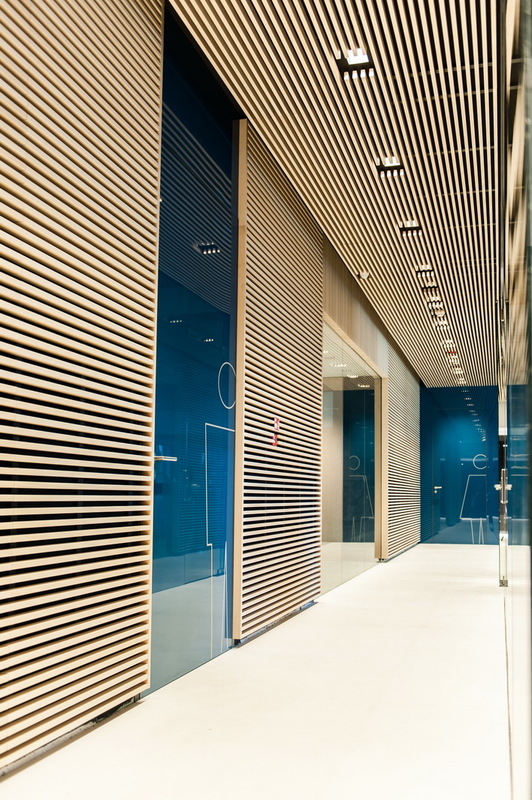 Ceramic boards on the doors and walls. 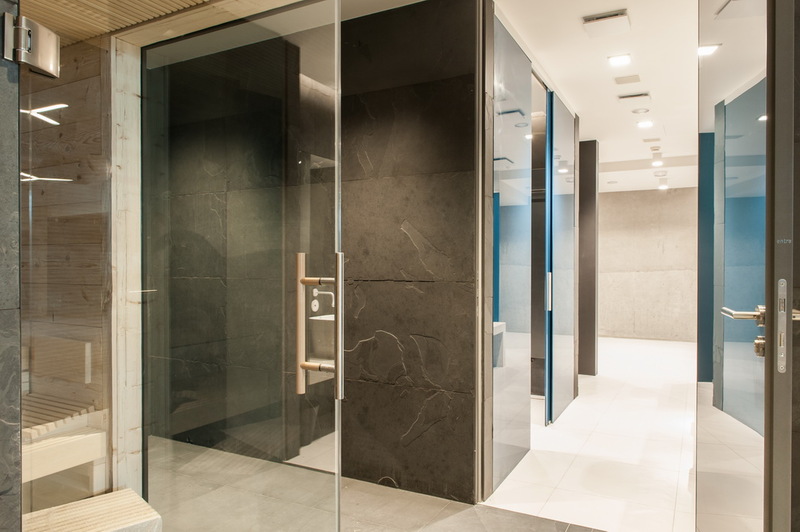 Doors and walls are finished with white or black stone, formig one surface. 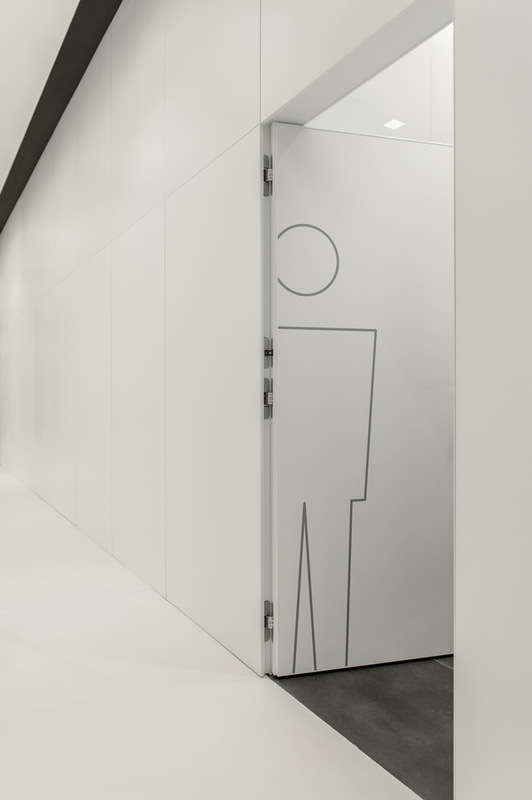 Gres has a thickness of 4 mm, and the door is closed in an aluminum profile, which protects the corners. 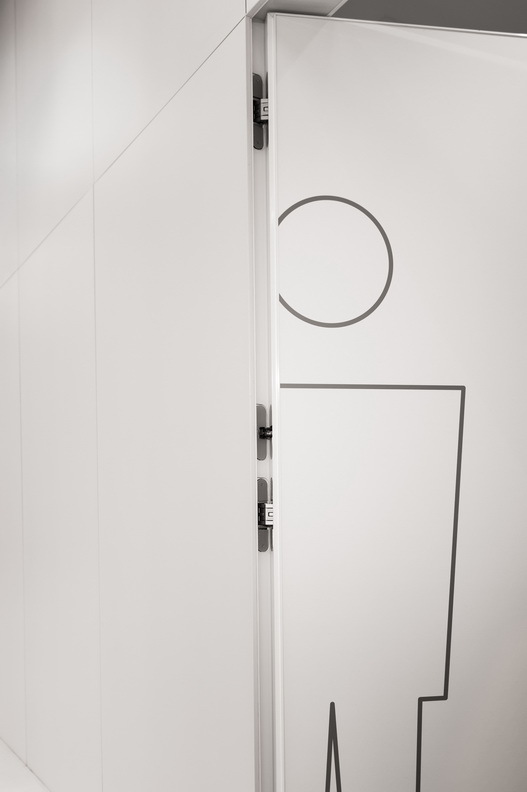 Frame of the SUPERIOR hidden doors allows to easily veneer surfaces on the door and the wall. 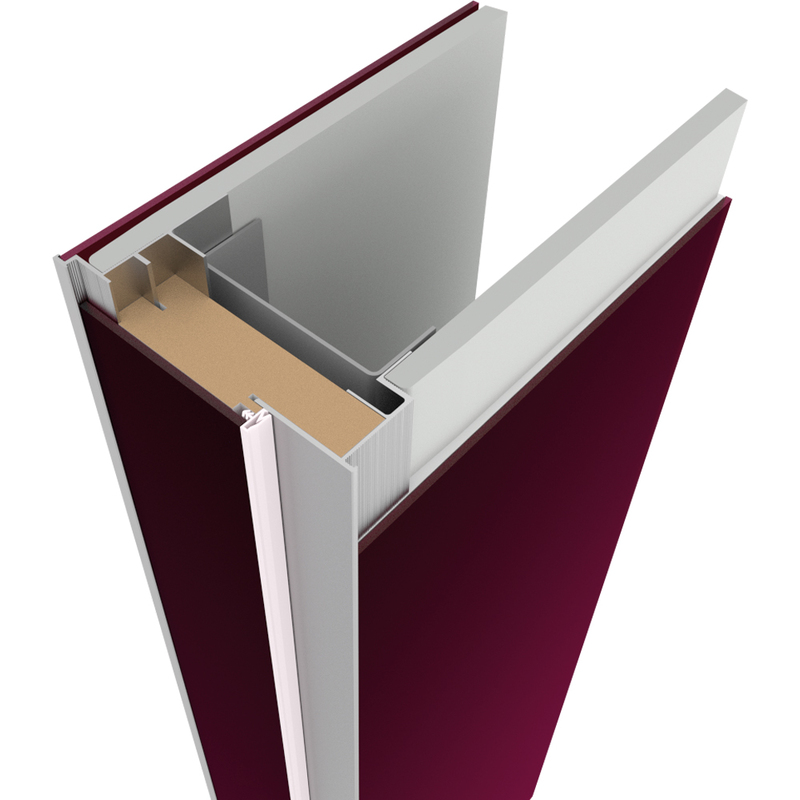 In addition, the leaf jamb is finished with aluminum profile, which protects the fragile materials from cracking. 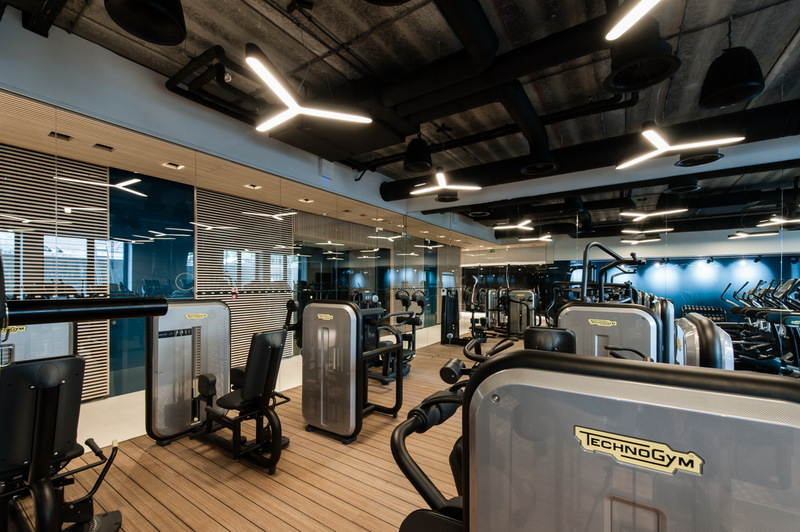 The unique character of the gym is created by a very high doors covered with glass, which are extended to the ceiling by another sheet of glass in the same color. 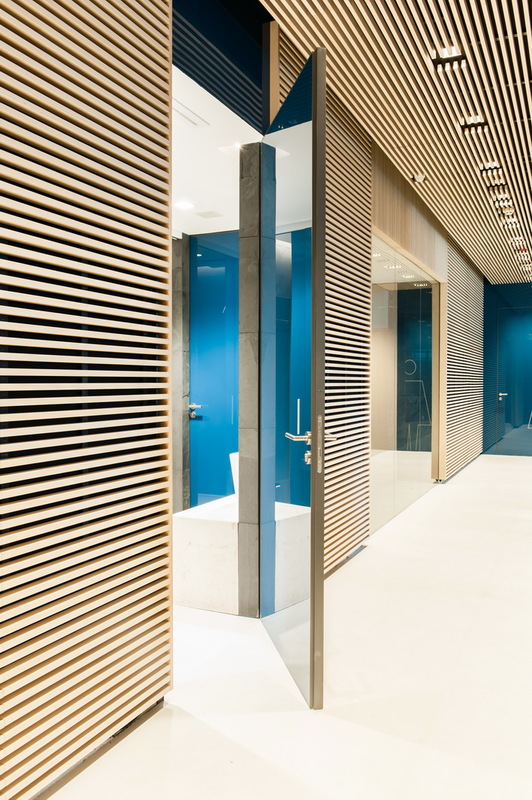 The door on the side of the sauna are finished with veneer in harmony with the natural character of the room. Cloakroom located on the other side has a different look and doors covered with glass fit into the other glass structures. 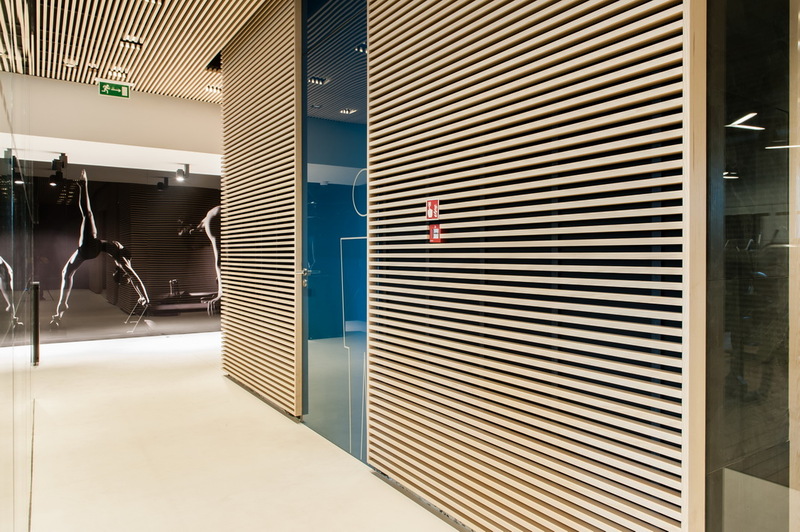 We use SUPERIOR Frame in a situation where we want to put on the wall a finish material with a thickness of 4 mm, and our goal is the alignment of the door and the wall surface. The frame is available in both traditional and verte opening. The frame is applicable on both masonry and plaster wall systems. 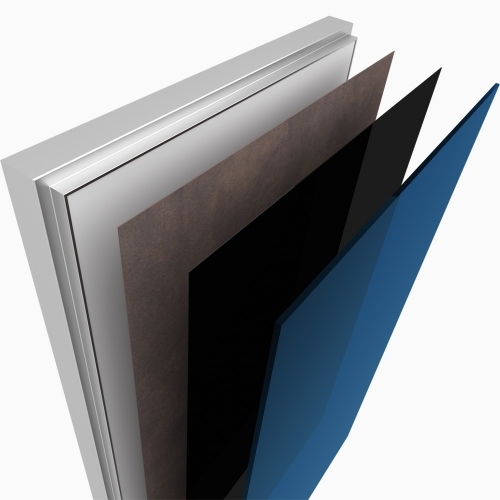 What is extremely important, additional section in the frame, not only allows to veneer two surfaces, but also protects the corners. It is very important for the lining of fragile materials – glass and pottery. The result is strong and durable jambs with delicate decors. 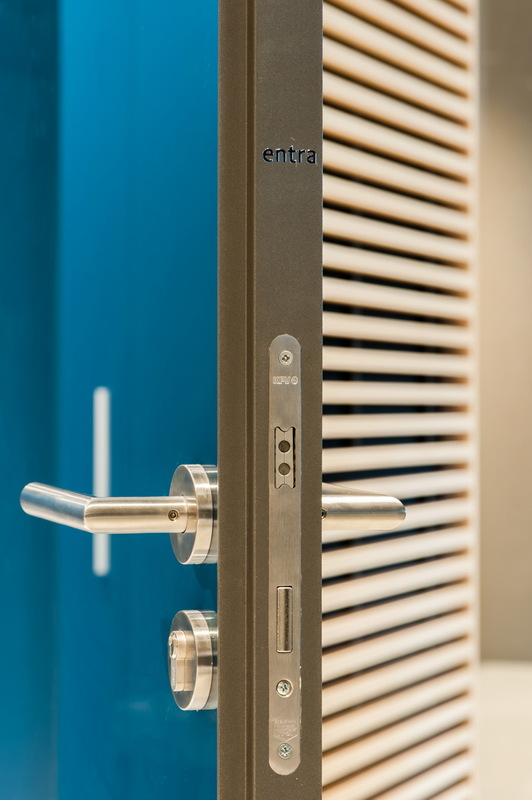 The system uses doors closed in an aluminum frame. This is a strengthening of the structure, but most of all it allows to use the material, so far impossible to use, because of the difficulty of access to the periphery of the same material. 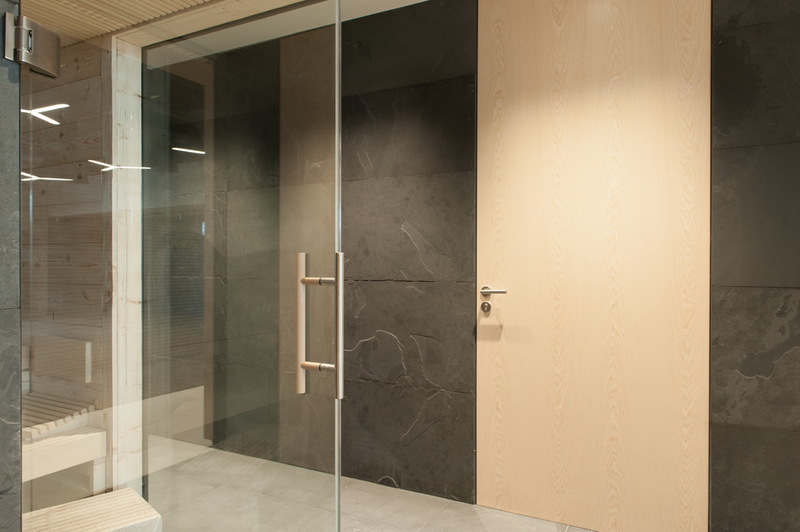 Therefore, we can finish the door with glass or ceramic plate, as in the head office of LPP SA.